The best all-around players in the world will battle on PokerGO in mixed game action. Poker Centralcrowned the first ever Poker Masters champion in 2017 and is now out to find the world’s best all-around player in the U.S. Poker Open. Come February 1-11, high-stakes action will stream on PokerGO with No Limit Hold’em, Pot Limit Omaha, and an Eight Game mix tournament on the schedule. The buy-ins range from $10,000 all the way up to the $50,000 No Limit Hold’em Main Event, with the player who accrues the highest gross earnings being named the U.S. Poker Open Champion. All events will be played at ARIA in Las Vegas. The No Limit events are to have a similar structure to the format used for Poker Masters. In total, six No Limit Hold’em events are on the schedule with PLO and the Eight Game event both taking up one slot on the schedule. The PLO tournament features 125,000 starting chips and 30-minute levels. The final six will return to the final table on Day 2. For the Eigh Game event, levels increase to 60-minutes and a start bank of 150,000. It is a three-day event and the final table of six will play on the PokerGO live stream. The PLO tournament features a $10,000 buy-in while the Mixed Game Championship features a $25,000 entry fee. The U.S. Poker Open marks the first major high stakes series officially listed on the schedule for 2018 and Poker Central president Joe Kakaty is looking forward to the exciting content ahead. “The U.S. Poker Open is our newest marquee tournament positioned to kick off the high-stakes tournament calendar. Our lineup of quarterly majors give PokerGO subscribers year-round access to some of the best high-stakes poker in the world,” said Kakaty. Among the players scheduled to appear in the series are Daniel Negreanu, Brian Rast, Fedor Holz, and current GPI #1, Bryn Kenney. Negreanu and Rast participated in the Bellagio Mixed Game High Roller series in the spring that featured $10,000, $15,000 and $25,000 buy-in tournaments featuring both Eight and 10 Game mix. The high stakes mixed game tournament action doesn’t usually pick up until the World Series of Poker but the U.S. 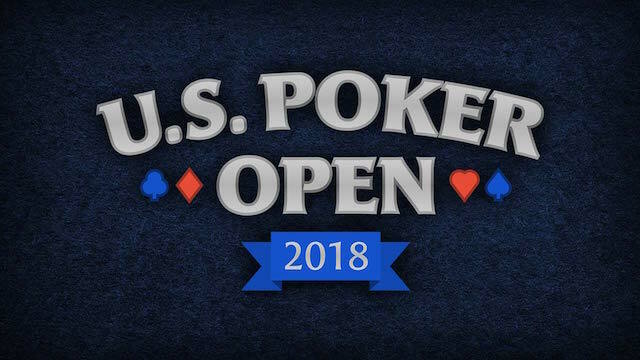 Poker Open changes that for 2018. The stars will be out in force to show off their skills and put on a show on the PokerGO live stream stage.